"Hollywood (US), Bollywood (India), Nollywood (Nigeria)… Nothingwood (Afghanistan!)" You don't want to miss this. 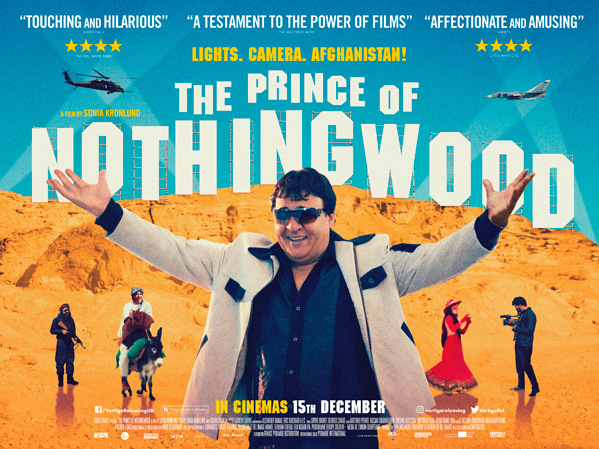 Vertigo Releasing has debuted an official UK trailer for a documentary titled The Prince of Nothingwood, which premiered at the Cannes Film Festival this year. The film profiles an actor named Salim Shaheen, the most famous actor in Afghanistan, who produces, directs, and stars in extremely low budget movies made in his own country. He's basically the most famous guy from "Nothingwood" and is beloved by everyone there, no matter who they are or where they're from (in the midst of Afghanistan's wars and poverty). It's actually an engaging, fascinating documentary that shows the power of movies and how they can bring people together, along with an inside look at this embattled country and its people. Have fun. Salim Shaheen is the "Prince Of Nothingwood", the most popular and prolific actor-director-producer in Afghanistan. Over the past thirty years he has been tirelessly making, starring in and distributing movies despite the country’s ongoing war. With Shaheen about to embark on his 111th no-budget feature - a film about his own escapades - Sonia Kronlund joined him, and his regular troupe of actors, on a filmmaking adventure to the traditional heartland of Afghanistan. The result is a fascinating behind-the-scenes account of Shaheen’s life and work, the art of filmmaking in a war zone and a thoroughly entertaining portrait of this larger-than-life, ebullient character who spends his life making his childhood dreams come true. The Prince of Nothingwood is directed by French journalist-turned-filmmaker Sonia Kronlund, her first feature. This premiered at the Cannes Film Festival this year. Vertigo will release the doc in select UK theaters starting December 15th this fall. It still doesn't have an official US release date set yet. Thoughts?